It’s Pancake Day! A glorious holiday filled with batter, sugar, lemon and whatever else you fancy. This year, bring your dog in on the festivities and treat them to their very own doggy pawcakes! These gluten-free pancakes are made using buckwheat flour and polenta – perfect for dogs with wheat intolerances. In a bowl beat the medium egg and add in the buttermilk and peanut butter. Add in the baking powder, polenta and buckwheat flour until the batter is thick, add water if needed. Put the pan on medium heat and add oil to prevent the batter from sticking. Add the batter to the pan with a spoon and cook for two minutes until the underside is brown. Flip the pancake and cook for an additional minute. Mix two tablespoons of peanut butter with one tablespoon of warm water and drizzle over the pancakes. Use a bone-shaped cookie cutter (if you’ve got one handy) to cut each pancake. 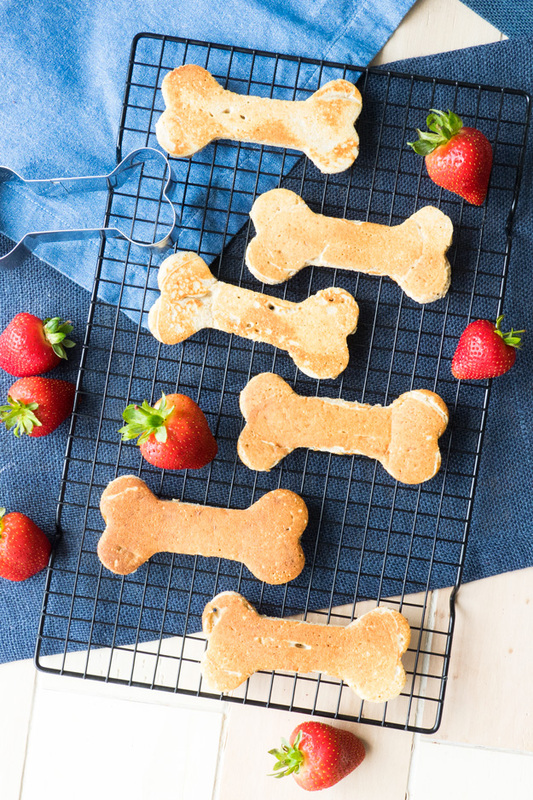 Top with washed, hulled strawberries, or your pooch’s favourite treats! Louie and Maria are siblings that could not be more opposite. Louie prefers chasing after sticks, whilst Maria prefers sleeping. They both enjoy their owner Maryam's lap to sit on and sometimes fight over it.